1600 Words A Day: The Zombie Movie Encyclopedia is coming! The Zombie Movie Encyclopedia is coming! Ooh la la! 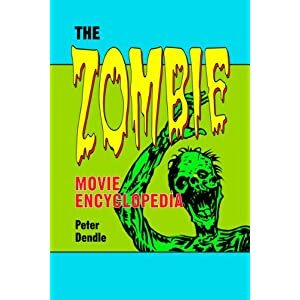 I logged onto my LibraryThing account today and found out that I scored a free copy of The Zombie Movie Encyclopedia to review. So psyched! I can't wait for it to arrive so I have an excuse to obsess about zombie movies (not that I ever really feel like I need one.) Brains! Braaaaaains!